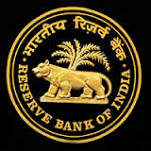 In the mid term review of the monetary policy,December 2013, the RBI left key rates unchanged contrary to our and consensus estimates(we expected a 25 bps repo rate hike) and left the CRR unchanged at 4%. It seems like the RBI is talking like a hawk but walking like a dove. Over the last few years, retail inflation has been persistently high and also largely ignored which is one of the key reasons why the economy is in the present quandary of low growth and high inflation. High inflation finds its genesis in high food inflation. For example, in November, food index under CPI grew by 14.7% while under the WPI index, food inflation grew by nearly 20%. The other component that is keeping inflation up is the fuel price index (because of deregulation of fuel prices). RBI has little control over both these factors and hence the argument that a rate hike might not be able to control inflation. The Governor seems to be placing his bets on softening trends in food prices going forward and warned of acting if it turns out otherwise. Our research shows us that good harvest and seasonal factors can bring down food prices in the months ahead. Hence inflation on the whole might drop. But only for a while - a temporary phenomenon. It will come back to bite us soon after. This has been the case for the last five years. Hence why will FY 14 be any different? Its noteworthy that the Governor does not mention core inflation?noteworthy because EM countries identify more with core inflation than with headline inflation.Why the ambiguity about the target? High fiscal deficit is one of the key reasons for high inflation. Between Apr - Oct FY 14, the government earned Rs 4641 bn but spent Rs 9220 bn. Given that the increased expenses are more towards populist schemes rather than capital formation, these expenditures are not going to translate into sustainable growth and output. If you look at the rural population whose incomes have risen by over 15% over the last five years (thanks to programmes like NREGA), their spending has increased more on food articles than on durables like cars, TVs etc. We have now known for ages that supply side bottelnecks are the main reasons for food inflation and the sudden spikes in vegetables,onions,potatoes etc is due to supply not reaching consumers in quicktime even with a good monsoon. The Governor has spoken like a hawk but his actions have been dovish in this policy.With time we will know if this radical strategy works because as far as food inflation is concerned it will come down but temporarily.